You may recall that David Andrew Wiebe also spoke at last year’s WordCamp. Our brave founder was invited back for another session at the 2017 WordCamp. This will be the fifth annual WordCamp Calgary, and this year also marks Canada’s 150th birthday year! 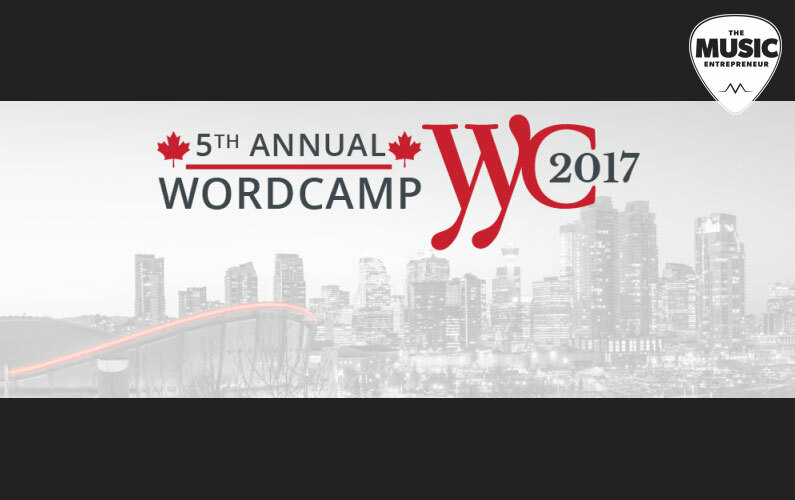 This year’s WordCamp will be held on May 27, again at Fort Calgary (750 9 Ave SE). Regular tickets are $25, and as we write this, there are 61 remaining. If you want to get a text link to your website and a mention at the event, you can purchase a $75 ticket, of which there are eight left (also as of this writing). You can purchase tickets here. It’s a gathering tailor-made for WordPress users, and a place to learn about everything you can achieve with the WordPress platform. Every year, many experienced WordPress experts share on a variety of topics, including marketing, management, plugins, themes, blogging, and more. To find out if there is a WordCamp event happening near you, visit WordCamp Central. Per CodeInWP, WordPress runs 27% of the entire internet. Not only is it a popular blogging platform and content management system, it is also a go-to tool for building dynamic business, eCommerce, and even intranet websites. The Music Entrepreneur HQ website, naturally, runs on WordPress too. If you have any questions for Wiebe, don’t hesitate to get in touch with him. We look forward to seeing you at WordCamp!